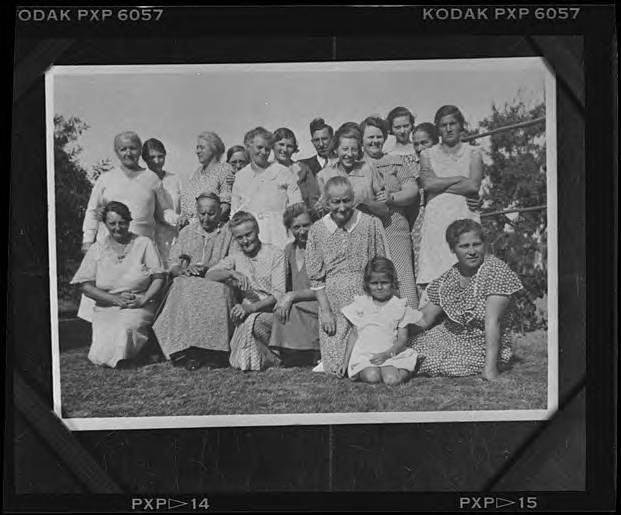 Black and white image of a group of women gathered about an elderly woman in a chair set outside. The women wear comfortable dresses, most with shorter sleeves and buttons up the front. The older women wear their hair pulled back into buns; the younger women have shorter hair that hangs in loose curls about their faces. A man in a suit stands at the very back of the group.